We are a dog-loving husband and wife team in San Francisco. We are fully insured and bonded through Pet Sitters International and we are Dog CPR and First Aid certified. We only accept dogs that are dog friendly and people friendly, because of this rule all of the dogs we walk are well socialized and play well with others. We believe in positive reinforcement and we practice that each day with the dogs that are in our care. 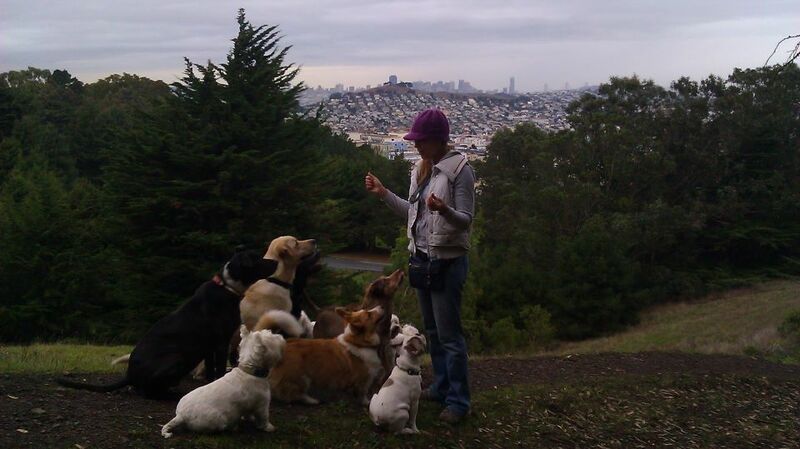 We pick the dogs up from their homes and take them out to a private Doggie Ranch in Montara. They play and run in the safety of the ranch, and then we bring them home tired and happy. Making your life much easier! That is why we are here, so give us a call and let's see how we can help you. We walk dogs big and small from San Francisco and Pacifica. Leo walks dogs of all sizes and Celene walks the little dogs. 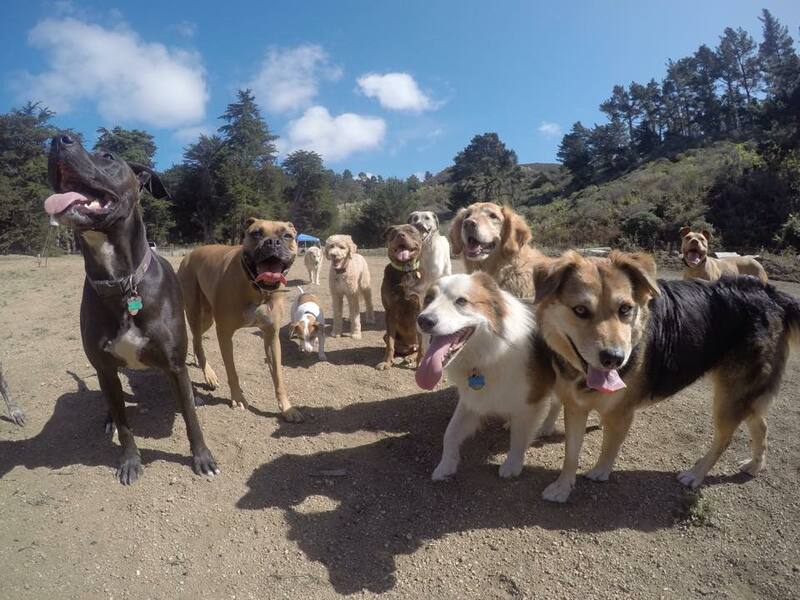 We take the dogs to a private beautiful doggie ranch in Montara, so dogs that are still working on recall are welcome to join as the area is enclosed and safe. We ask that all dogs come out with the group a minimum of 3 days a week, so we can get to know them better as can all their new friends! We provide pick ups and drop offs from your home for our dog walking sessions. We post pictures of your dog on our Facebook and Instagram pages, so you can see your pup at play with his/her pack and see firsthand just how much fun your dog is having. Must be spayed or neutered. Only exceptions are puppies, with the agreement they will be by the appropriate agreed upon age. Please have your canine on a flea & tick preventative medicine. Dogs must get along well with other dogs and be well socialized. Good recall is helpful but it is also something we are willing to work on. "Get A Leg Up" began with myself, Celene and my husband Leo in 2008. With both of us being the dog loving, outdoorsy folks that we are, we knew that combining these two passions of ours would translate into our dream job, and it certainly has. Looking at those happy sweet faces is all the thanks we could ask for! We explore places all along the bay area, including many spots in San Francisco and Pacifica. We always mix it up and it is obvious to us that this makes the pups very happy, and isn't that what it is all about? From the beach to the mountains, we make it fun and keep it safe. Contact us to get started walking your dog today! Give us a call at (415) 341-2102.